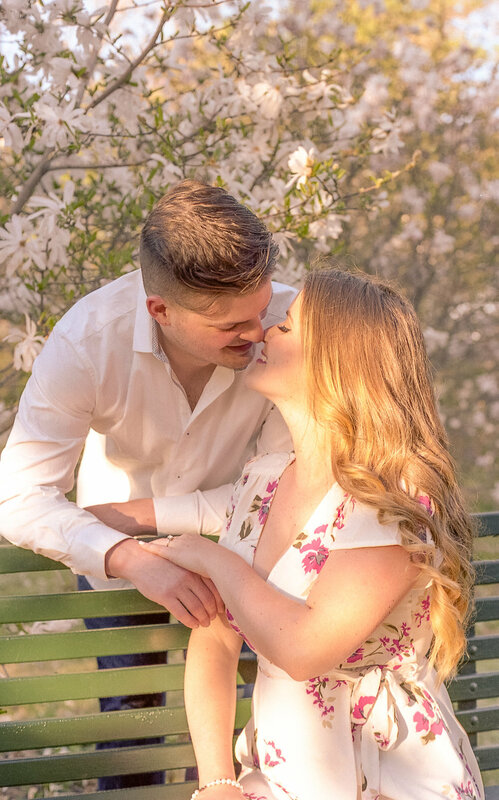 An engagement shoot is a fantastic way to get prepared for your big day, and let’s face it, most couples could use the practice! This session started out with our groom here being less than thrilled about coming to this shoot (as most men are), but the tables quickly turned when an ice cream bribe was introduced. As soon as his gorgeous fiancée, Laura, mentioned Stella Luna he was all smiles (and I’m totally with him!! If anyone ever needs a way to bribe me...;) hint hint). One of my first questions for couples is always about how much control they are willing to give me, and how artsy I can get. When given full trust and free range to do my thing, this is the result. Lens flares & close-ups & beautiful light for days. 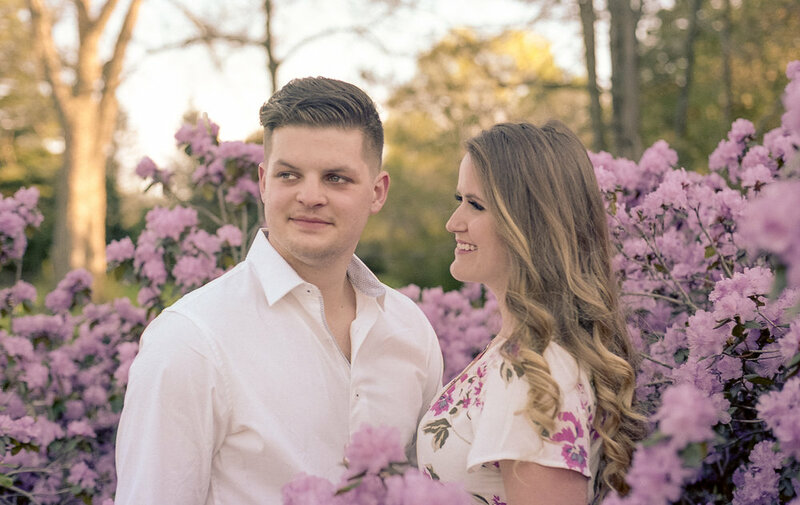 The dominion arboretum has always been a favorite place for me to shoot, so exploring with this lovely couple was an evening that couldn’t get much better! We shot at sunset on May 13, and the blossoms were just arriving. Some beautiful white magnolia trees and crab apple blossoms were in full bloom, but most of the typical pink cherry blossoms had yet to show. The weather has really thrown the blooms into hysterics this year! 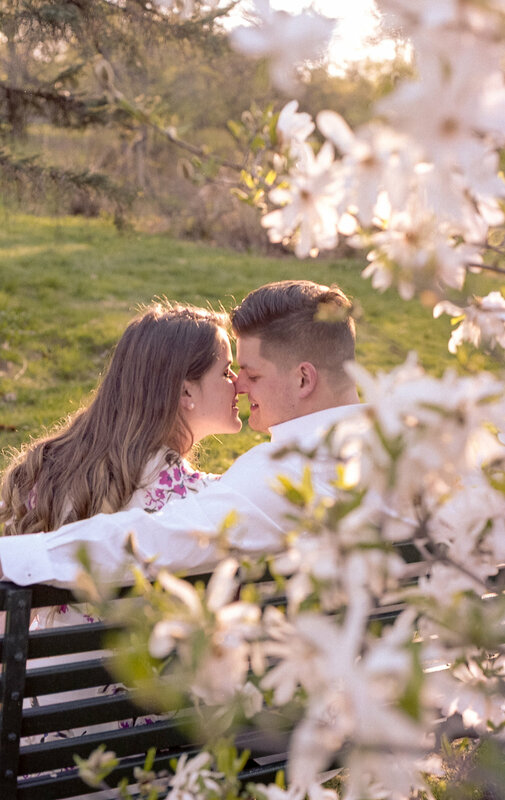 I have some more cherry blossom sessions coming up, and I can’t wait to show you how beautiful the pink blooms are as well! 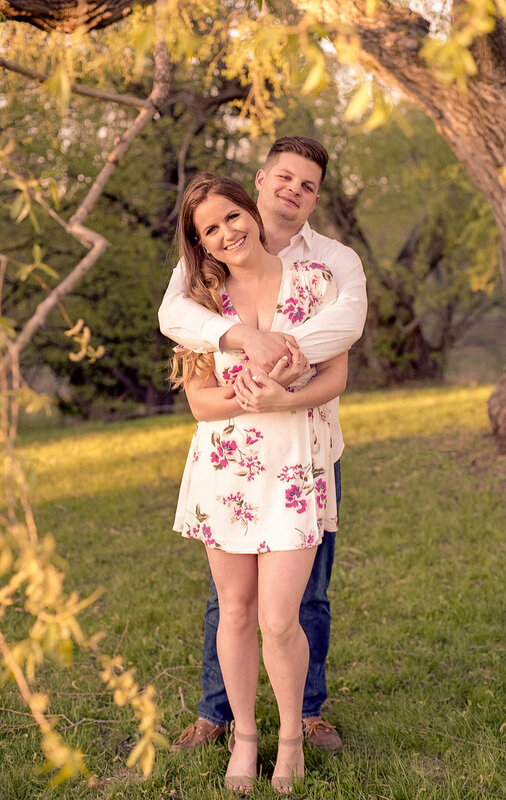 If you’re looking to schedule a session of your own, you need to act quickly; the blossoms last for barely two weeks once they show, so the long weekend and the week after will likely be your last chance! If you’re looking for recommendations for the best locations, the arboretum and experimental farm are beautiful and one of the best locations for variety. The price tag is how busy it gets (we came across 5 photographers last Sunday night, and the peak hadn’t even started yet!). Lincoln fields boasts a nice row of trees and Vincent Massey Park is also home to some beauties. Wherever you go, enjoy this sunshine, it never lasts long enough.